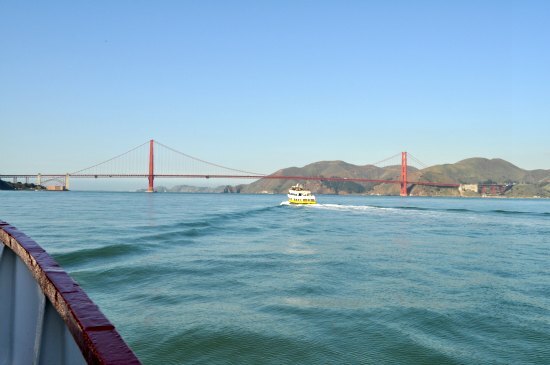 The Golden Gate Bay Cruise is the most popular San Francisco Bay Cruise. 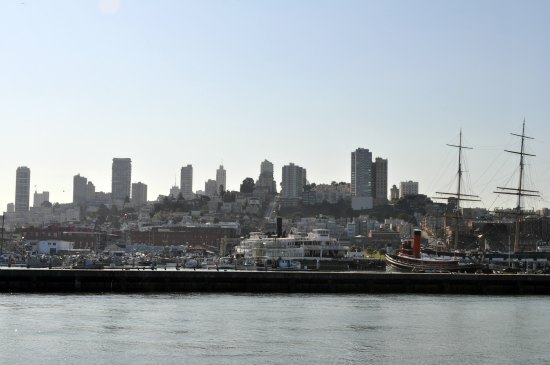 It's a 60-minute tour that gives you a great overview of the SF attractions along the waterfront. 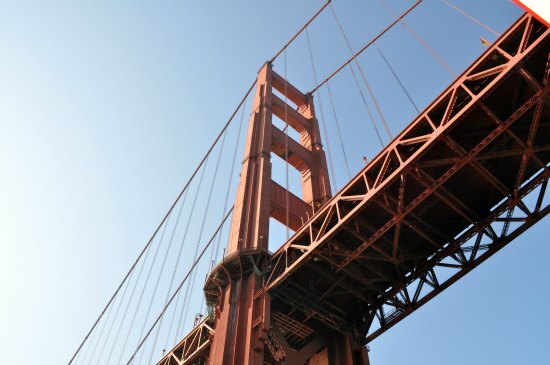 On this tour, you get amazing views of the Golden Gate Bridge, Alcatraz Island and the shoreline of San Francisco. 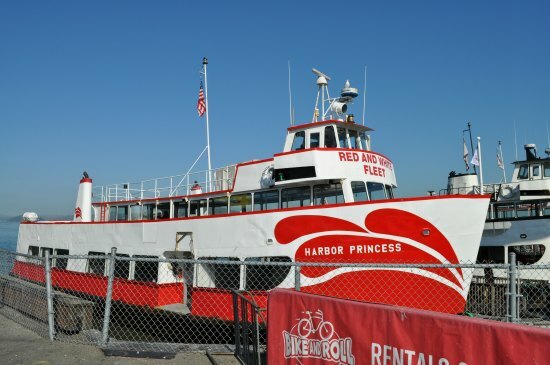 It is popular because it runs several times a day and is the least expensive ride around the bay. In addition to the beautiful views, it also offers a narrated audio tour. 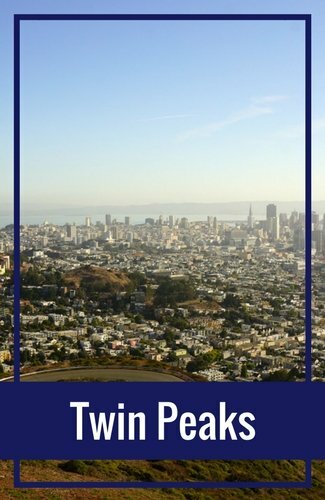 It's featured in many languages, so you can hear all about San Francisco and its famous attractions in your preferred language. This one leaves from Pier 43 1/2 in the Fishermans Wharf district. 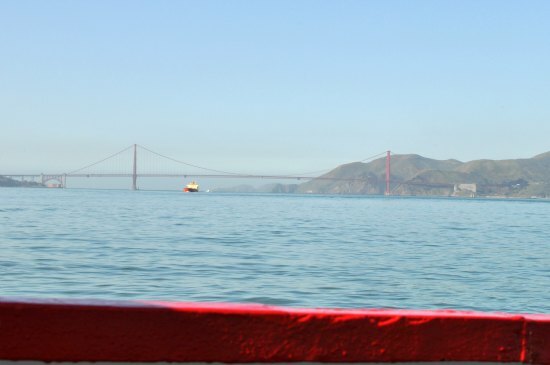 I've taken the Golden Gate Bay Cruise a few times. Here are a few pictures and some additional details from my most recent tour. The day I took the cruise was a beautiful, clear day in February. It was low season, so it wasn't too crowded. Since I booked my ticket online, I had a printed voucher. Once I arrived, I stopped by the ticket booth to turn this into a ticket. If you book online, make sure you bring along your voucher. You will also need to exchange it for a ticket. It only takes a few minutes, but you will want to add some time to your journey for this exchange. I recommend allowing an additional 15 to 20 minutes in the busy summer months. Here is the ticket you will receive. The ticket is valid for 365 days from the purchase date. If it happens to be raining on the day you originally booked, you can exchange your voucher that day, but then go on your cruise on a day that is nice and sunny. 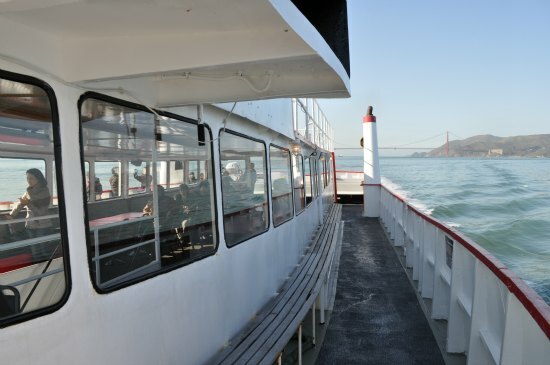 This Golden Gate Bay Cruise also includes audio. 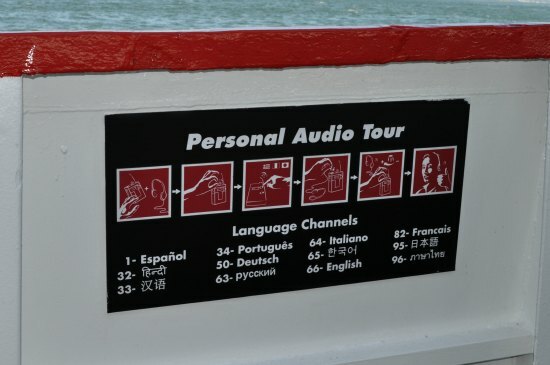 You will get your audio once you board the boat. This is the audio box. It comes with a pair of headphones and a clip, so you have two free hands to take your amazing pictures. The audio is also available in a number of languages. This sign is in several locations in case you can't remember the channel you need to be on for the audio. Once everyone boards and has their audio, the cruise departs. After leaving Fishermans Wharf, you head out along the northern SF waterfront. 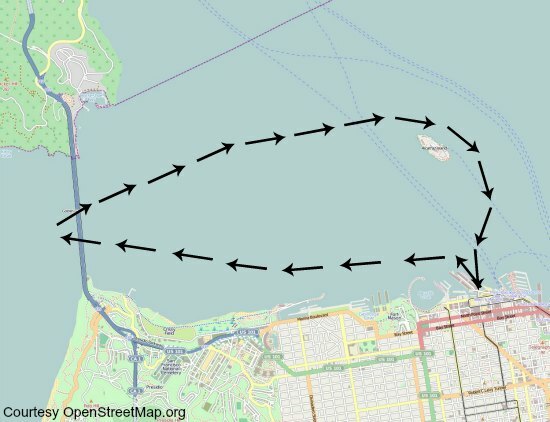 You'll cruise past the boats on the Hyde Street Pier and the Fort Mason Center. In the background, you'll get some amazing views of the city and its steep streets. This cruise continues along the waterfront. 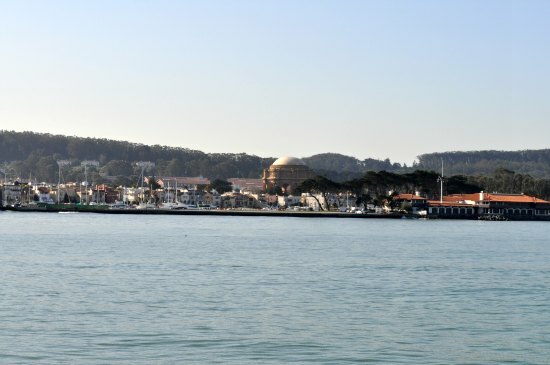 You'll pass Crissy Field and get some great views of the beautiful Palace of Fine Arts. 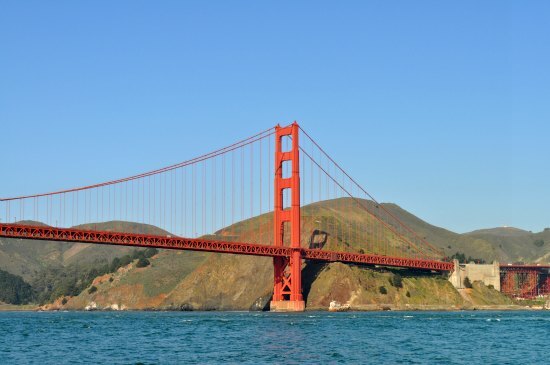 As you cruise along the waterfront, you are getting closer and close to the Golden Gate Bridge. 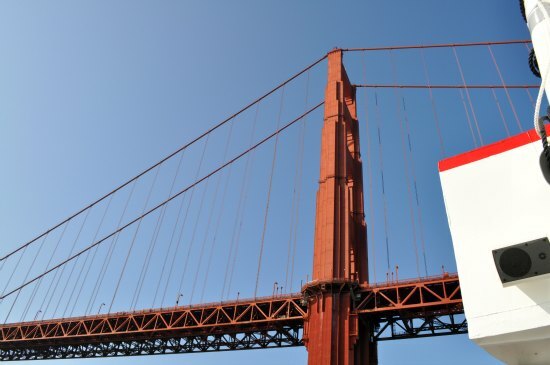 Before you reach the Golden Gate Bridge, you get a clear view of Fort Point National Historic Site. This old army building was set for destruction with the original bridge building plans. After quite a bit of protesting, new plans were designed in order to save this landmark building. 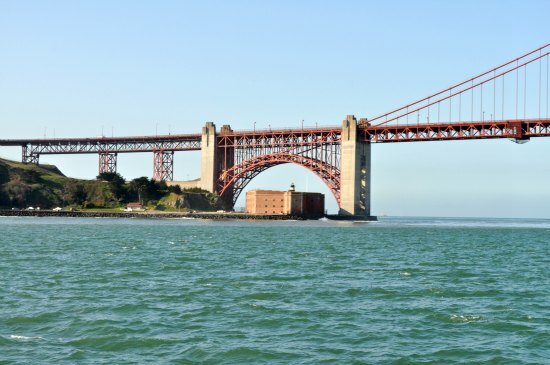 Your ride on the Golden Gate Bay Cruise gives you a great view of how they build around Fort Point. From here, you will head under the bridge. These are just a few pictures I took as we got closer and rode under the bridge. After you ride under the bridge, you make an immediate turn and head back under the bridge one more time. 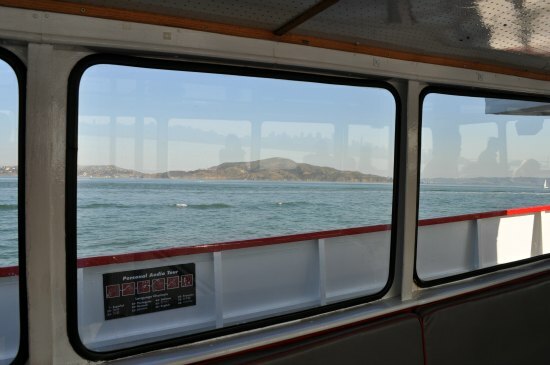 You are now on your way to see Angel Island and Alcatraz. Here is a photo looking back at the bridge. Angel Island is now a national park. This wasn't always its purpose. It has an interesting history which you will learn all about on the journey. 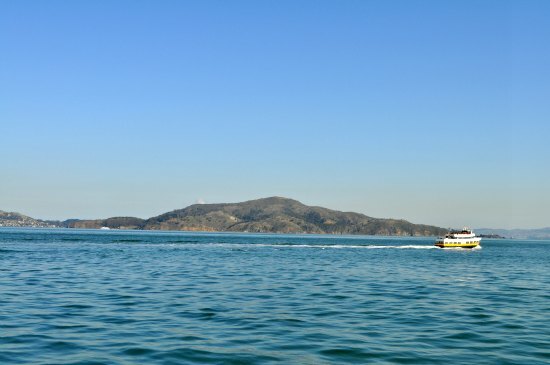 After passing by Angel Island, you are almost at Alcatraz Island. 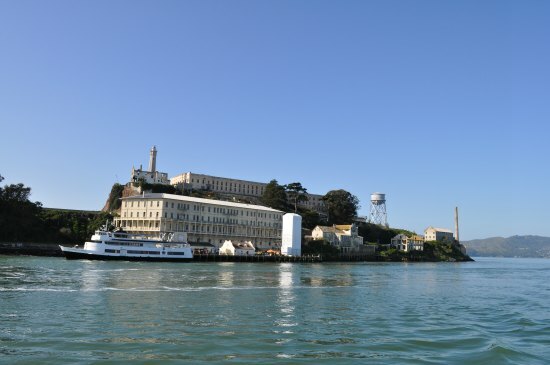 On this cruise, you will get really close to Alcatraz. It also rides around it, so you get the chance to see it from all sides. 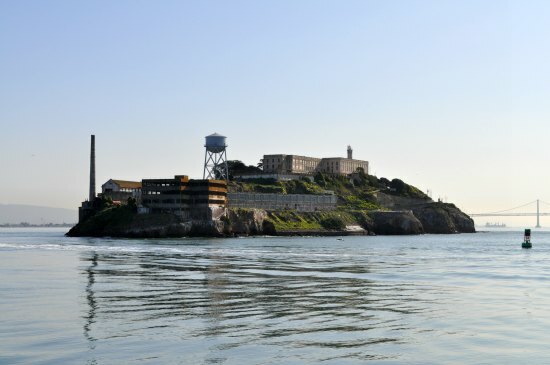 Once you pass by Alcatraz Island, your trip is almost over. From here, you can get one last look back at the Golden Gate Bridge and the San Francisco skyline. Your journey will end again in Fisherman's Wharf. Here is a map that shows the entire route for this cruise. 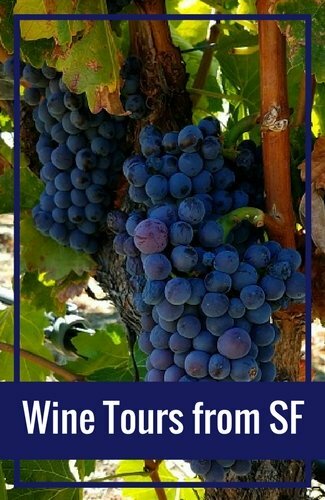 Are you ready to book this tour? 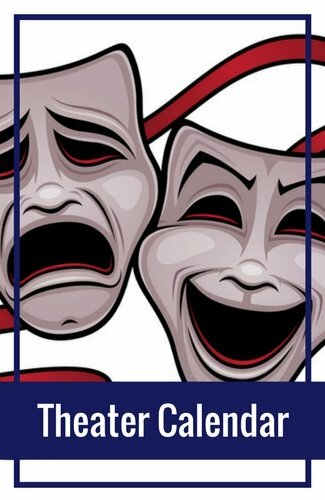 Find tickets for your trip online today! 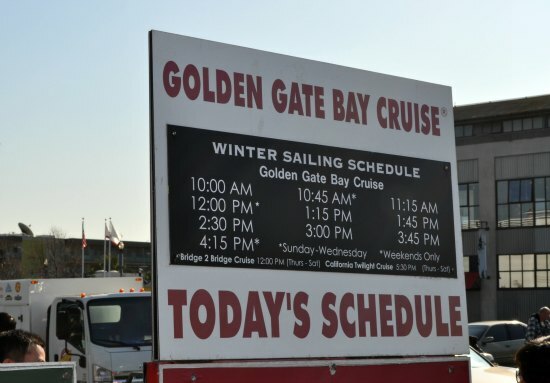 The Golden Gate Bay Cruise has both indoor and outdoor seating. 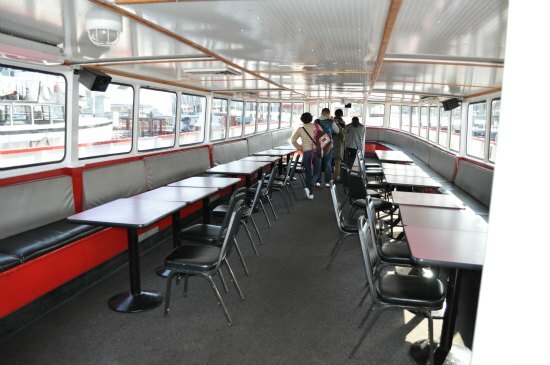 On the top deck, there is outdoor seating all along the boat. There is also quite a bit of seating in the back. You will also find plenty of seating inside. 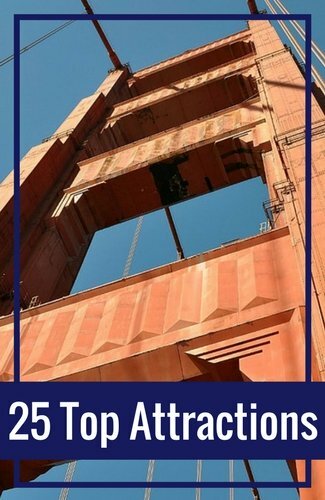 Even when you are inside, you can get some great views of the SF attractions on this tour. Overall, you will find plenty of seating. Many people roam around the boat looking at all the different waterfront attractions along the way. 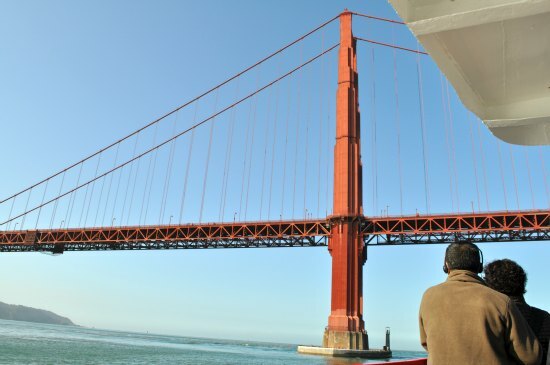 Here are just a few other tips for your Golden Gate Bay Cruise journey. First Tour: If possible, I recommend heading over for the first trip of the day. This is when the lines are the shortest. 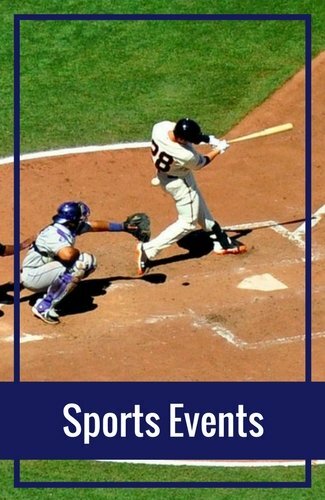 This will be key in the busy summer months. 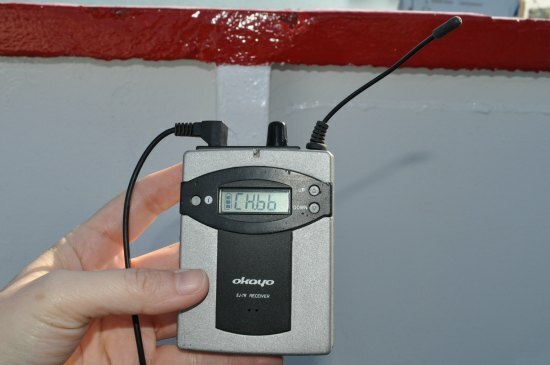 Audio: I noticed my audio player worked best at the front of the boat. If you are having a hard time getting a signal, head to this area of the boat. Protect Your Camera: You'll want to protect your camera on this trip. The water can come up (salt water!) and ruin your camera. Be aware of this while taking photos on this cruise. Tour Times: If you happen to forget the times for the tour, you can walk over to Pier 43 1/2 to get the times. The sign below is posted at all times, so you can quickly determine which one fits your schedule the best. 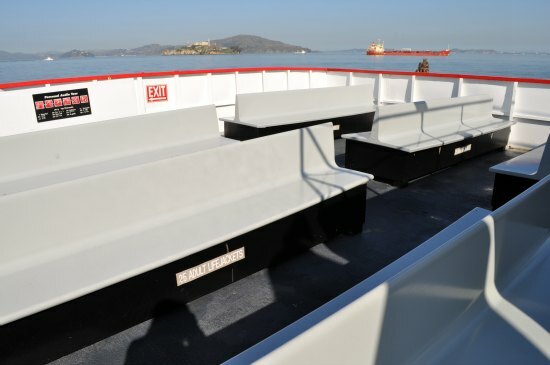 Seasick Passengers: The waters of the San Francisco bay are usually pretty calm. If you get seasick on boats, you shouldn't have too much trouble on this journey. You can also stay on solid ground until just a few minutes before the boat leaves. There is a little waiting area right before you board that you can stand in (let them know what you are doing), so you can wait until the last second to get on the boat. You can also get off right away by heading down, turning in your audio and then standing by the doors until you arrive. You can either book your tickets in advance or once you arrive. 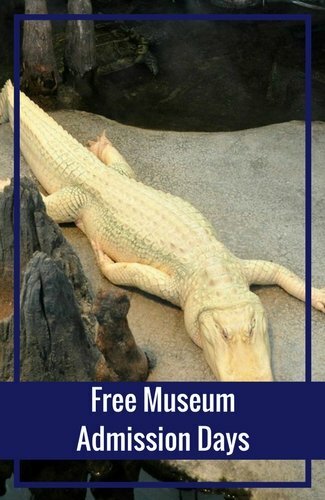 Both offer the same level of service and allow you the chance to take this tour any day during your visit. 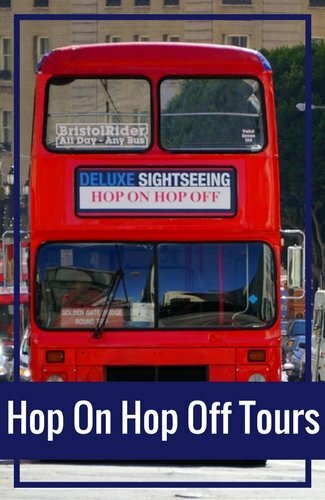 When you book online, you'll select a specific day for your tour. However, as I mentioned above, this ticket still offers you the chance to take the tour for 365 days after the purchase date. I recommend changing your voucher into a ticket once you arrive. 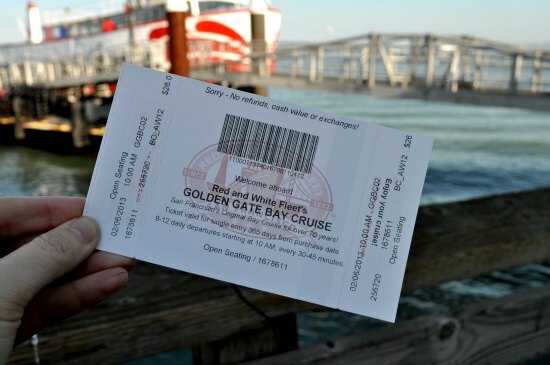 Then you can just hop on any Golden Gate Bay Cruise that works for you. Get additional details on this tour and buy your tickets online. You might also get lucky and find these tickets at up to 50% off the full retail price on Goldstar. Click here to find discounted tickets for this cruise today!